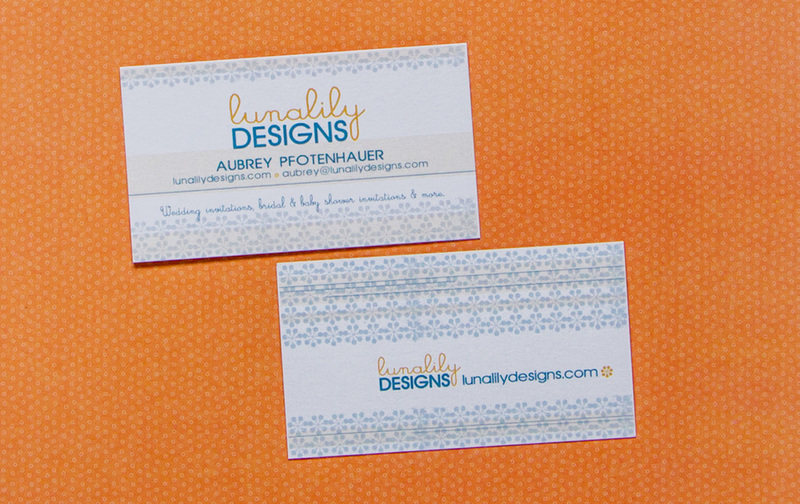 When starting LUNALILYDESIGNS in 2010, I designed the first logo and business card for my new company. At that time, my company was focused on the design of wedding, wedding shower, bridal shower and baby shower invitations and associated designs. The design of the logo and business card incorporated flowers and curvilinear fonts to appeal to this women focused audience. The calm contrast of the oranges and blues helped provide an overall soft and subtle quality. The front of the card focused on the company name and contact information. While the back of the card was not spared and focused on the company website URL.